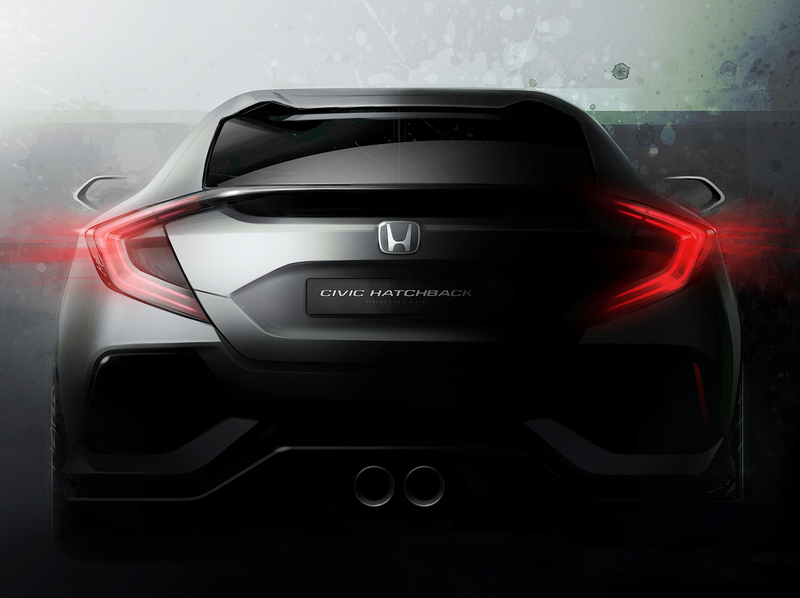 Honda is set to unveil the Civic Hatchback Prototype at the 2016 Geneva Motor Show. The Prototype previews the exterior design of the all-new hatchback Civic model, scheduled for a European launch in early 2017. Produced in the UK , the car will be exported to global markets, including the US. Honda has also confirmed the Clarity Fuel Cell will make its European debut at Geneva, following its global unveil at Tokyo motor show in October last year. The world’s first production fuel cell saloon to house the entire fuel cell powertrain under the bonnet, features a range of up-to 435 miles. Honda has also announced first European customer deliveries for the Honda NSX will begin in 2016. The NSX sports car features classic low and wide proportions as well as an ‘aggressive front design, and rear lights that pay homage to the original NSX’. The new hybrid supercar has an all-new mid-mounted DOHC V6 engine with twin turbochargers mated to a specially-developed nine-speed DCT. Honda will also demonstrate a new design concept - the ’Keenlight’ Jazz. The new concept seeks to highlight the potential for customising Jazz models, using sleek design elements, special decals and a unique colour named ‘Keenlight’. The Geneva Motor Show runs from 3-13 March 2016.